This post contains affiliate links. This means that I get a small commission for any purchases made through my links at no cost to you! 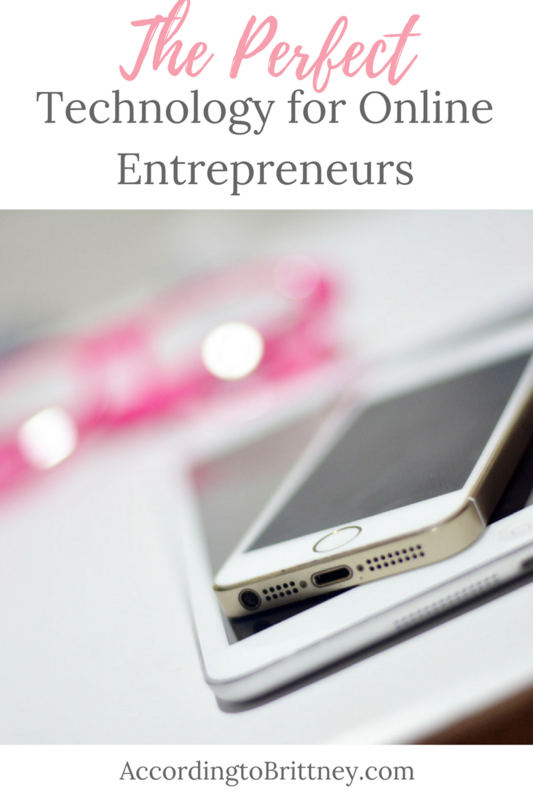 Who knew online entrepreneurship required so much darn technology?! Well, if you’re in the process of starting your online business or want to see what else is out there, don’t fret! I’m going to let you in on all technology I use and love the most to run my online business. Plus, if you like it so much, you can grab it yourself! For my birthday this year, I decided to treat myself with the latest cell phone. The drastically different iPhone X. I’m usually not one to get the latest phone since I’m big on budgeting. But, this phone was a nice treat especially for my business. I had the iPhone 6s which came with a whopping 16 gigabytes of storage. So after years of having that little storage, the iPhone X’s 256 GBs were looking pretty good (Yay! All the apps!). I’m already at 20 GBs in 2 months, so the upgrade was needed. While the phone doesn’t offer anything drastically different than the other phones that can help my business. The little features it does have definitely make it perfect. The camera with the added portrait mode features are stunning for blog photos, the Face ID makes logging in a little easier, and the phone is pretty fast. As you know, time is money. If you’re constantly taking pictures for your blog or social media, this is what you need. I used to think selfie sticks were dumb. But, my selfie stick/tripod combo has been an awesome purchase! This little gadget serves as a selfie stick, so it does the job if I need to take an extended selfie. But, it also serves as a stand for my phone. So, whenever I’m doing a Facebook live (which is always), I don’t have to worry about my phone flying all over the place. Freaking genius. I had an iPad mini in the past that was slowly neglected as I started to use my phone more. But, with my iPhone upgrade, I decided to get the new iPad (hey, it was my birthday). I’m very happy that I did! I don’t know about you, but I’m easily distracted. Especially when I’m writing. Having the iPad has really helped me stay on task. I just open up the Google Docs or WordPress app, connect my keyboard, then I’m ready to go. Writing on my PC is like tab central with a million things pinging at once. But, the iPad only allows one app at a time. I’ve just revolutionized digital writing for you. You’re welcome. Plus, lugging around a laptop is so yesterday. During most meetings, bringing my iPad allows me to do the same work without breaking my back. Do you want one? I know you do. Grab one here. I already told you a little about why this is awesome (see above), but it’s worth mentioning again. Turn your iPad into a mini laptop by just grabbing a little keyboard. Trust me, it’s so worth it! Here are times my iPad keyboard made my business life easier: At a conference, at a meeting where I only took notes, running errands when I get an unexpected email that needs attention, at home when my laptop is distracting, and more! Another cool thing is it connects with bluetooth, so no wired needed and you can connect to anything! Even your phone. Let’s all agree to make our lives easier by buying one, okay? Like this Apple Smart Keyboard from Target. Running your business online require a lot of stuff! What do you use to keep your business running? Share in the comments! My Fun, Educational, Rewarding time at Wordcamp 2016!